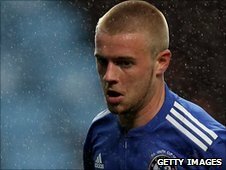 Plymouth Argyle have signed Chelsea midfielder Conor Clifford on a youth loan deal. The 19-year-old, who will be at Home Park until 19 November, has been included in Argyle's squad for Saturday's match with Huddersfield. Plymouth boss Peter Reid said: "He [Clifford] can see a pass, and he was very enthusiastic to play here. "I will decided whether he starts tomorrow [against Huddersfield] but he has a good chance." Clifford, who is in his third year at Stamford Bridge, captained Chelsea's youth team to victory in the FA Youth Cup last season.